The Office of Distance Learning is committed to putting faculty and students in the best position to succeed. During 2016, the Office was reorganized to better achieve the mission and goals of the Office. As a result, three units emerged within the Office: (a) Administration and Finance, (b) Instructional Support, and (c) Online Student Relations. 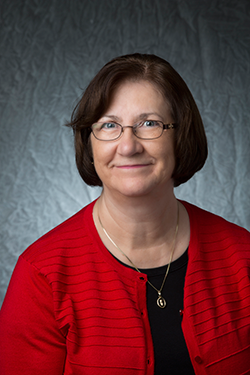 Dr. Claire Pettit Arabie was named interim director of the Office of Distance Learning in April 2018 after several years of leading the office's Instructional Support team. Claire joined the Office of Distance Learning as an Instructional Designer in July 2013. She earned the role as Instructional Support Manager in Fall 2015 to head a team of staff dedicated to supporting faculty in delivering high quality hybrid and online learning experiences. She is a former UL Lafayette Outstanding Graduate with a B.S. in Mathematics, a Master in Education, and a Doctorate of Education in Educational Leadership. Claire is a hard-working and enthusiastic Ragin’ Cajun with traditional and online teaching experience. Her technical expertise in instructional design and curriculum development is an asset to both Distance Learning and the University at large. Under Claire’s leadership, the Instructional Support team has worked with faculty to create effective and engaging course designs and provided professional development pathways for faculty to earn one of the required certifications to teach hybrid and online courses at UL Lafayette. Stephen McGoffin joined the Office of Distance Learning in December 2015 as its first Business Manager and Budget Analyst. Stephen is responsible for managing the Office of Distance Learning budgets, advising the Director on all financial matters, coordinating oversight of the distance learning revenue share plan and department accounts, tracking and assisting in evaluation of all contracts with external vendors managed by Distance Learning, and creating and operationalizing pro-formas to manage the cost and revenue of online programs. Prior to joining the distance learning staff, he was a small-business owner for three years and spent time as a consultant with the USDA and Louisiana Small Business Development Center. Prior to this work, he worked as an internal auditor for a respected firm in New Orleans for three years. 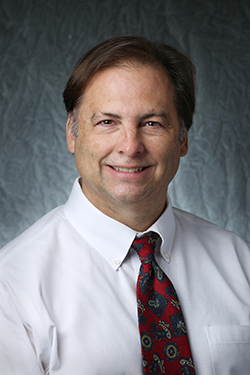 Stephen holds a Masters of Business Administration from Loyola University of New Orleans and a Bachelor of Science in Management with a Finance concentration from Tulane University. Dawn Benoit joined the Office of Distance Learning in 2018 as Program Manager. In her role, Dawn strives to support existing programs and to coordinate development of new programs in conjunction with program leaders. She also assists academic program coordinators with course progression and student advising. Previously, Dawn owned her own business, identifying individual clients’ strengths and personalities to advance their careers, and providing support to business clients through strategic planning and development. Just as she spent her previous life building up clients, she’s passionate about building our existing programs and adding more online programs so that the University of Louisiana at Lafayette is a key catalyst in helping as many people as possible achieve their personal goals. Accountant Ruth Zhang joined the Office of Distance Learning in March 2018. Ruth brings 20 years of extensive accounting knowledge to her role as Budget Analyst, where she monitors expenses in the academic departments E-Learning Support Funds and analyze opportunities for improvement and investment. She came to Distance Learning following three years with the University’s Athletic Department. Ruth says she’s enjoyed the opportunity these roles have given her to contribute to the greater UL community. A graduate of the University of Alabama, Ruth expects to earn her Master’s in Accounting in Summer 2018, putting her at the forefront of accounting knowledge and expertise. Mona T. Rivoire joined the Office of Distance Learning in the summer of 2011 as its Administrative Assistant. Mona tracks all expenditures for the Office of Distance Learning account and all E-Learning Support Fund G accounts. She manages the State Authorization process to ensure UL Lafayette is compliant with the regulations of states where we have enrolled online students. Mona responds to questions sent to the Office email account and helps coordinate meetings and events. Carey Hamburg is a senior instructional designer in the Office of Distance Learning after previously serving as E-Learning Media Specialist. As a Senior Instructional Designer, he leads projects to improve the functionality of the learning management system, Moodle, and the integration of tools within it. He is responsible to provide timely one-to-one faculty support on challenging hybrid and online course design issues. He excels in supporting positive vendor relations and evaluating project details. Carey also delivers training on EduTools and Moodle related functions. His background is in Art and Technology Integration. Carey is a graduate of UL Lafayette and completed an Master's in Communication at the University of South Alabama, with a focus in Multimedia Training Development. He has worked in a variety of educational settings as an instructor of both art and technology. Carey enjoys seeing the connections that emerge as educators and students explore the creative and effective possibilities of educational technology. Carey is also a certified Emergenetics trainer and can deliver that professional development series on thinking preferences to small and medium sized groups. He uses this knowledge to help the Office assemble whole brain teams to plan the best outcomes for projects. Angela Lee joined the Office of Distance Learning as an Instructional Designer in October 2015. She has experience facilitating professional development and brings a background in online and blended instruction, Moodle administration, and course design. 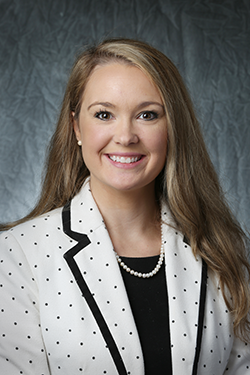 Angela is a graduate of UL Lafayette, earning a Bachelor of Science in Business Administration, continuing on to earn a Master of Science in Instructional Technology from McNeese State University. She has 14 years of experience in higher education as an instructor and administrator. Angela looks forward to working with faculty to create quality online and hybrid courses. Diana Wu, Ph.D., came to Distance Learning in April 2018 from Virginia Tech where she served as assistant director for the Office of Instructional Technology. Diana’s responsibilities in her previous post — assisting faculty and students in incorporating instructional technology to enhance teaching, learning and research — serve her well in her new role as Instructional Designer. In addition to her experience in instructional technology and support, Diana has also taught in online and face-to-face classrooms, and is skilled in a number of learning systems, tools and course management systems. Diana graduated from Carson-Newman College with a Bachelor’s in English Literature and Education; in 2008 she earned her Master’s in Instructional Design and Technology from Virginia Tech. 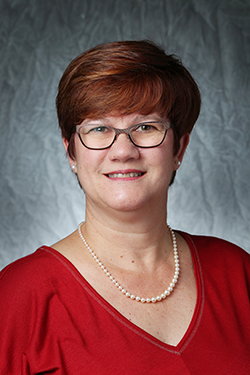 Diana earned her Doctorate in Instructional Design and Technology in 2014 from Virginia Tech. 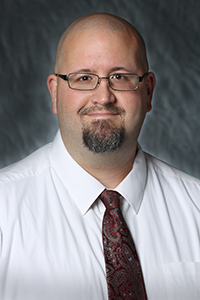 Mike Williams joined the Office of Distance Learning in January 2017 as the Instructional Technologist. In this role, Mike works with EduTool vendors and UL Lafayette IT services to maintain smooth operation of all instructional tools supported by the Office of Distance Learning. Mike also works with the rest of the Instructional Support Team to support faculty, evaluate instructional tools, and promote technological innovations. 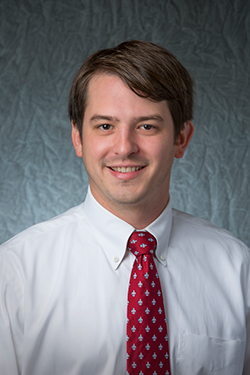 Mike is a graduate of the Louisiana Scholars College at Northwestern State University, earning a Bachelor of Arts in Liberal Arts with a concentration in Scientific Inquiry. He earned a Master of Education in Marriage and Family Therapy from Southeastern Louisiana University. Over a decade of work in education, Mike served as a high school counselor, professional academic advisor, career counselor, and university instructor. Laura Colligan joined the Office of Distance Learning in March 2016 as the first Online Student Relations Manager. Since then, she has developed, implemented and managed general and program specific marketing campaigns for hybrid and online learning opportunities at UL Lafayette. Additionally, she has managed the process to produce timely and effective responses to prospective student inquiries and to guide staff in creating and managing content for websites and campaigns. The review of market research provided by the Office’s research partner is another primarily role for her. Having spent nine years in the Communications Division of the Louisiana Attorney General’s Office, Laura is a public relations professional with extensive experience in communications, website management, marketing, community outreach, program planning, constituent services, student affairs, and media writing. She graduated from Louisiana State University with a Bachelors of Science and served as Student Assistant Recruiter for the last two years of her undergraduate experience. In March 2018, Hope Aucoin joined the Distance Learning team as Communications Strategist, working closely with new and existing staff members to inform the University community and beyond of all the great things happening and to come in the online learning realm of the University of Louisiana at Lafayette. Hope graduated from UL Lafayette in 2011 with a bachelor’s in Mass Communications - Journalism, and worked with several local print outlets, including the Daily Iberian and, most recently, The Daily Advertiser, before shifting her focus. In her role, Hope not only conveys the mission of distance learning, but engages with the community of faculty and students central in the program’s ongoing success. Carla Fontenot joined the Office of Distance Learning in April 2016 as the Online Student Support Specialist. Carla's primary role is to effectively assist prospects interested in UL Lafayette’s online degree programs and to increase enrollment. Her extensive background in sales, operations and customer service places her in the ideal position as first point of contact for prospective online students. Her passion for helping people achieve their goals is immediately apparent. Fontenot knows the challenges online students face through her own experiences. Her studies were interrupted for years until she used online classes to complete her bachelor’s degree from UL Lafayette in 2011. The Office of Distance Learning welcomed Laura Zito back to the department in March 2018 as Retention Specialist. 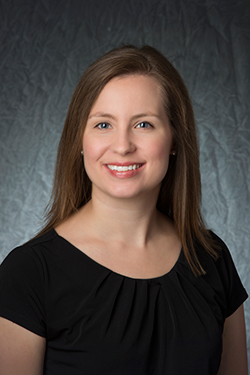 Laura previously served as the department’s Online Student Support Specialist from 2013 to 2016. In that role, she developed and refined processes and relationships to respond to prospective and current online student inquiries and issues while providing outstanding customer service to students and other internal and external customers. She also developed, sourced and revised marketing materials for the first online programs and worked with department leadership to create the first online student orientation. Laura now provides ongoing support to all students enrolled in online degree and certificate programs, ensuring newly enrolled students transition easily into the online learning environment and create ways to encourage and track student success in online programs and courses. Laura is a graduate of the University of Louisiana at Lafayette (Political Science, 2001) and brings nearly 20 years of sales, operations and customer service experience, as well as a passion for online student success, to her role. The Office of Distance Learning is committed to putting faculty in the best position to succeed. Contact us with questions and program and course development and design; faculty professional development and certification; eLearning tools and technology; and online student success.